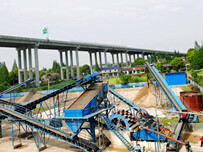 Silica sand is much demand for glass producing, especially with the high pureness. 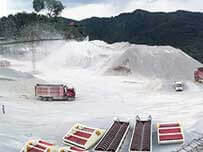 Silica processing methods are mainly through crushing, sieving, washing and drying natural quartz stone to get finished products for widely used in glass, casting, ceramics and refractory materials, metallurgy, construction, chemicals, plastics, rubber, abrasives and other fields because of the stable physical and chemical properties. Due to the wide application and remarkable effect of artificial silica sand, the silica sand processing has gradually been valued by people. 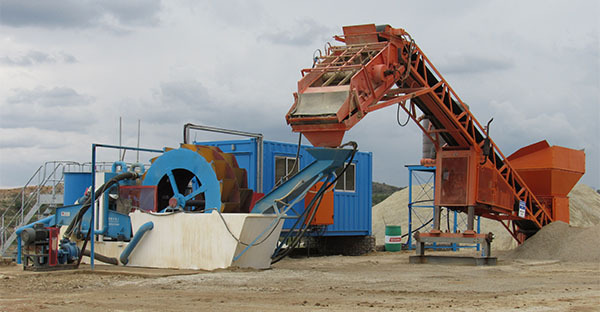 Silica sand beneficiation process is a highly difficult separation technique for removing small or trace impurities in silica sand to obtain refined silica sand or high-purity silica sand. So how is silica sand processed? The grade of SiO2, iron and aluminum in silica sand are changes as the grain size of silica sand. This phenomenon is particularly evident in silica sands containing a large amount of clay minerals. Therefore, before the selection, the washing and mud remove is very necessary for silia sand, and the effect is more obvious. 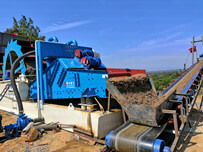 And silica sand is usually washed and dehydrated by sand washing machines (silica sand washing process). 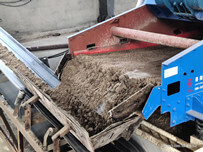 Silica sand particles are generally broken from quartz stone, and the finished silica sand is required to be meshed, so it needs to be sieved first by vibrating screen. The magnetic separation process can maximize remove the magnetic impurity minerals such as hematite, limonite and biotite including continuum particles. Strong magnetic separation usually uses wet magnetic separator or high gradient magnetic separator. In general, silica sand, which is mainly composed of weak magnetic impurities such as limonite, hematite and biotite, can be selected by using wet magnetic machine above 10000 GS; For strong magnetic minerals, the weak magnetic machine pair or medium magnetic machine is better. The magnetic selection and magnetic field strength have an important influence on iron removal effect. As the number of magnetic separation increases, the iron content decreases gradually. In addition, the finer particle size, the better iron removal effect. Because the fine-grained silica sand contains high amount of iron-containing impurities. 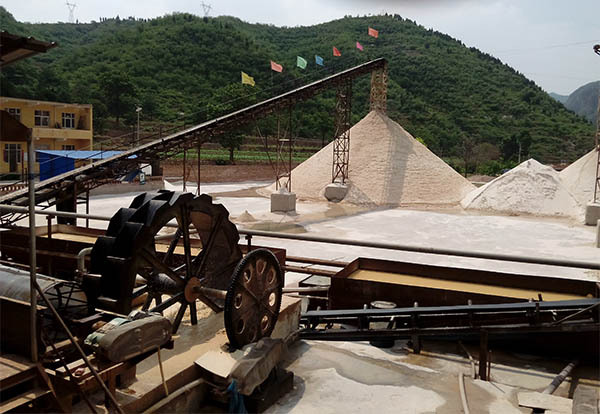 When the original silica sand contains more impurity minerals, it is impossible to purify silica sand into high-purity sand by scrubbing, deliming and magnetic separation. 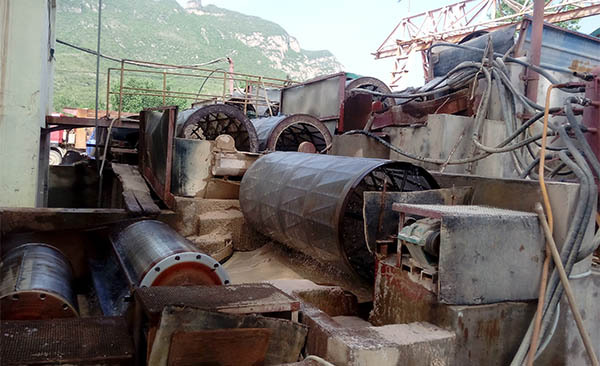 The magnetically selected silica sand is transported to flotation cell, and then the reagent is added to regulator, partially connected to the first one, and the balance is connected to the second tank of twin unit, usually used to flotation of impurities from siliceous sand. 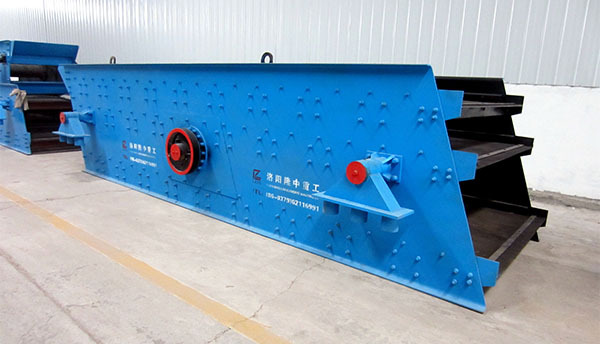 The flotation machine is very successful in flotation of silica sand, mainly by utilizing the difference in physical and chemical properties of material surface, and the process of mineral sorting from pulp by means of bubble buoyancy. The flotation machine drives impeller to rotate by motor’s V-belt drive, which generates centrifugal force to form a negative pressure. On the one hand, it absorbs sufficient air and mixes with the slurry. On the other hand, the slurry is mixed with drug, and the foam is refined to make mineral bond foam. Floating to the pulp surface to form mineralized foam. Adjust the height of shutter and control the liquid level so that the useful foam is scraped off by scraper. In general, after scrubbing, deliming, magnetic separation and flotation, the purity of silica sand can reach 99.3%-99.9%, which basically meets the demand of industrial sand. Pickling is the use of quartz insoluble in acid, and other impurity minerals can be dissolved by acid, so that realized one-step purification of quartz. The finished silica sand has strict requirements on water content. Generally, the water content is required to be 10%, so the dryer is required to dry silica sand to under 10%.